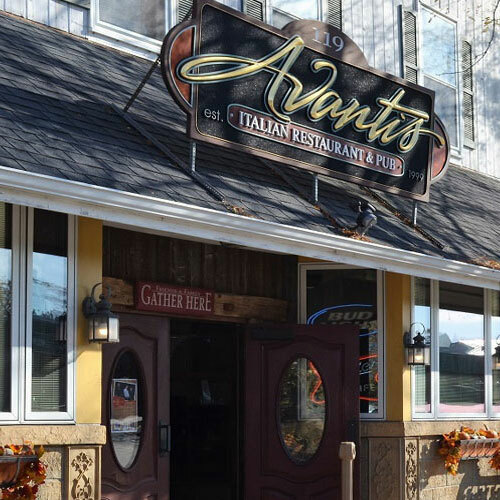 Avantis combines great old-world Italian food and American favorites. Family recipes handed down from the Cerniglia family are a favorite part of the Avantis menu. Avantis offers great burgers, ribs, happy hour, and specialty drinks blended just for you. Most of all you will be treated like family in a warm and inviting atmosphere. We are proud to serve delicious Italian style cuisine made from only the freshest, high quality ingredients. We buy our produce from local growers whenever possible to ensure garden-fresh, superior taste. Our recipes have been handed down from generation to generation, dating back to the owner's great great grandmother and grandfather in Sicily.